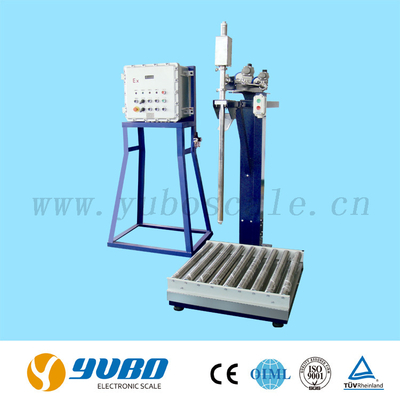 7100 series explosion proof Liquild filling machine - Buy Liquild filling machine, explosion proof Liquild filling machine, explosion proof filling machine Product on Changzhou YuBo Electronic Scale Co., Ltd. 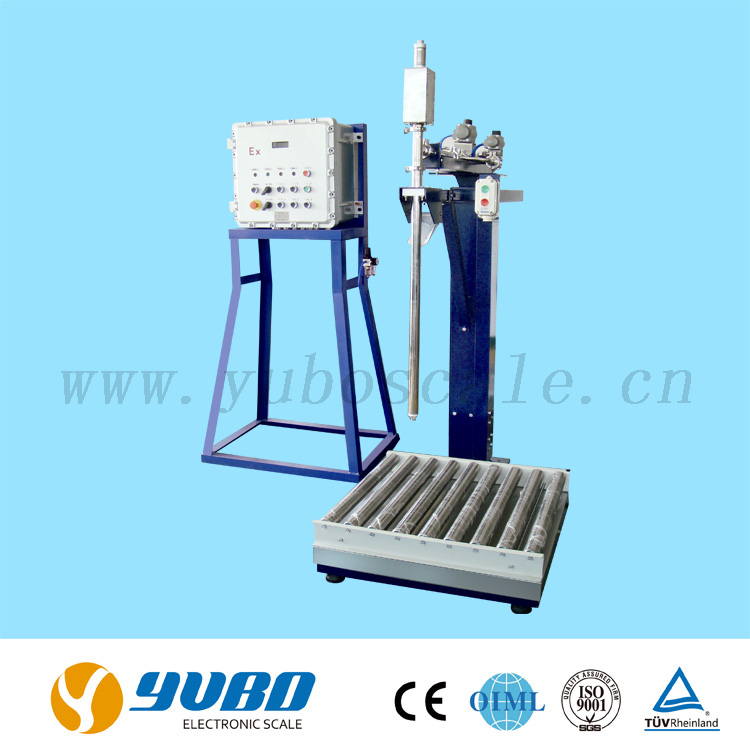 The anti-explosion liquid filling machine manufactured by YUBO company can fill all kinds of containers, iron drums or plastic drums which are approved in business trading. It can realize accurate ration filling between 10kg to 2000kg. 7. Options: conveyor, capper, touch monitor, managing software monitoring the material, calculator, printer and so on. 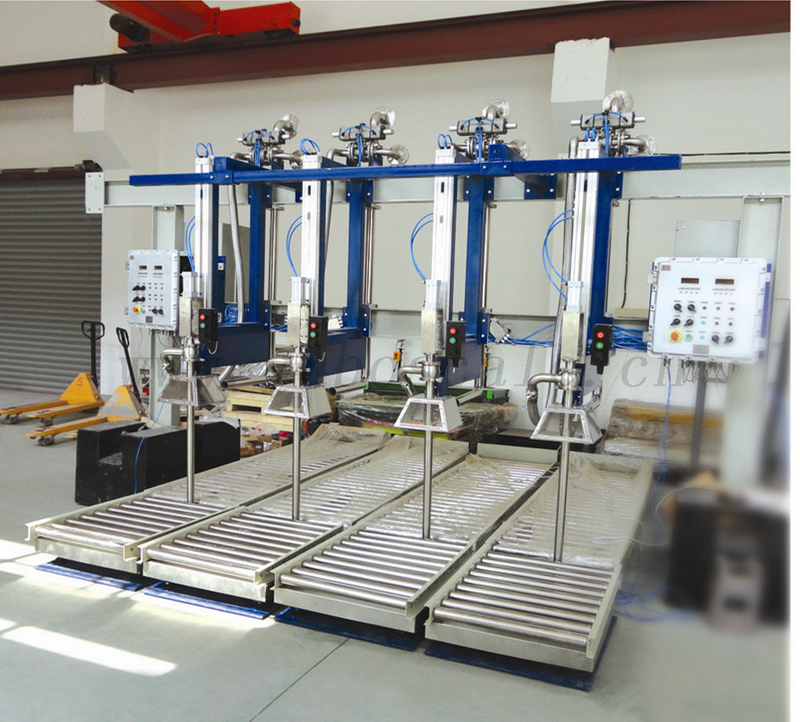 1,Automatic ration filling at both fast and slow speed, the rising speed of spray gun can be adjusted. 2,Method of gross weight or net weight are optional. 3,Working upon or under liquid level are optional. 4,Automatic or manual are optional. 5,Possessing functions such as automatic tarring, automatic diagnose, breakdown alarm, permissible deviation checking and so on.